Great article. This is almost a trivial exercise on a regular PBX. Somewhat flummoxed as to why there is so little info in the public domain or on Technet on how to configure Lync as a tandem switch. Doubt il come across this scenario too often but great to know configure Inter Trunk Routing. I believe that the inter-trunk routing happens before it gets to things like unassigned number routing. 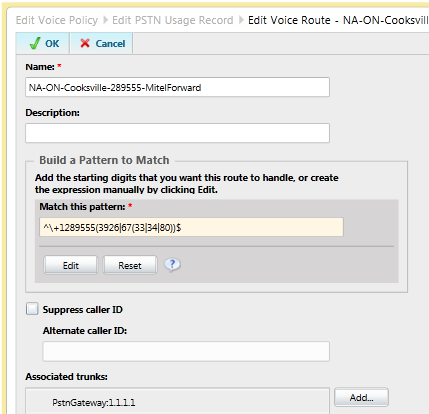 What you should do is ensure your PSTN usage you create for inter-trunk routing excludes any unassigned number range.